Olney is administered by Milton Keynes Council, but has a Town Council to consider local issues. Olney Town council has an office in The Olney Centre (where the library is). 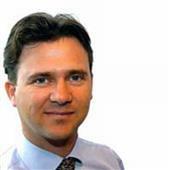 Mark Lancaster is the MP for North East Milton Keynes, which covers Olney. Staffed by retained by Fire offices. Under Buckinghamshire Fire Service. The Registrar of Births, Deaths and Marriages is available in Olney on Thursdays - but you must book ahead for an appointment. The office at Olney is a "service enhacement station" and the front counter is served by volunteers. The town hall acts as a community centre, where clubs and activities are held. The Citizens Advice service helps people resolve their legal, money and other problems by providing free, independent and confidential advice. The nearest centre is in Milton Keynes, but there is a service in Olney offering slots each month too. Information on accessing online services for the local authority for Olney. The Tourist Information Centre in Bedford has a selection of maps and guides to help plan your trip to Bedford and the county. Northampton Visitor Information Centre is a useful resource for maps, leaflets and advice. Based in the county town, it can provide both information for Northampton and the rest of Northamptonshire.